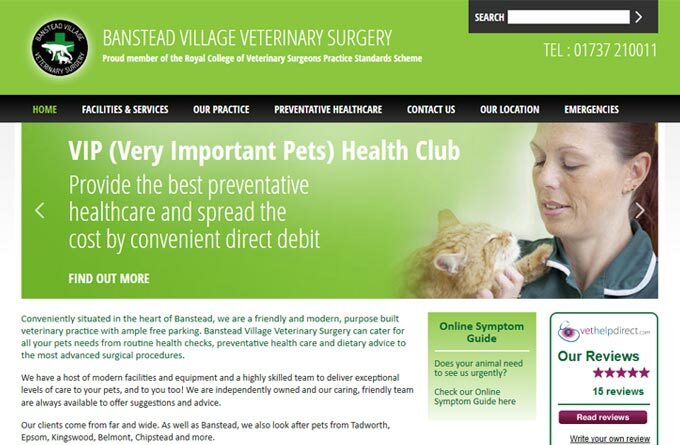 Independently owned and run, Banstead Village Veterinary Surgery is located in the centre of Banstead in Surrey. We have a modern, friendly purpose built veterinary practice with ample free parking, and can cater for all your pets needs from routine health checks, preventative health care and dietary advice to the most advanced surgical procedures. We have a host of modern facilities and equipment and a highly skilled team to deliver exceptional levels of care to your pets. We have been accredited as an RCVS General Practice – Species/Discipline Specific, meaning in addition to complying with Core Standards such as health and safety, hygiene and legal requirements and the provision of 24-hour cover, we also have access to laboratory facilities for diagnostic testing, have a system for monitoring the outcome of treatments and show commitment to the education and training of our staff.